Mrs. Douja Gharbi is a well established entrepreneur in Tunisia with a strong community development motivation. She started her own business in 1996 in the manufacturing sector and since then always promoted and implemented innovative marketing ideas and production processes with a focus on export to European Markets. She has founded 6 companies and joint ventures and she has participated in a number of international export and investment fairs. Parallel to her private business, Douja is an active member of the National Young Entrepreneurs Association and served as Board Member from 2005 to 2009 in charge of international relationships. In addition, since 2002, she has served as Board Member for the National Chamber of Women Entrepreneurs of Tunisia in charge of communication. In this role, she is also the Tunisian Hub Manager representing the CNFCE to the MENA Businesswomen’s Network, a regional network of businesswomen throughout the Middle East and North Africa untill 2011. 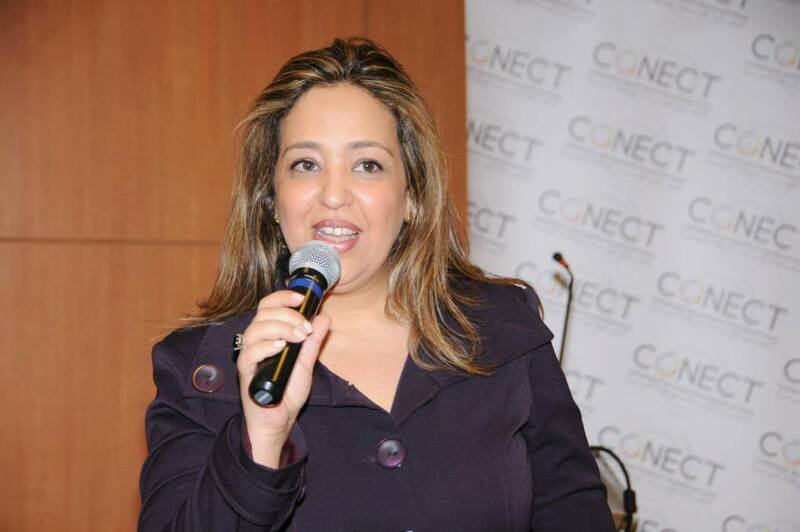 She’s also founder and 1st vice president of CONECT – Confédération des Enterprises citoyennes de Tunisie- created in March 2011. In 2006, the ARCEIT Center of the United Nations Industrial Development Organization based in Bahrain selected her for her vision, skills and experience as a successful women entrepreneur to become a UNIDO Counselor and Trainer for the Enterprise Development Program launched by UNIDO in the Arab Region in the year 2000. Since then, she has worked on a voluntary basis to organize enterprise development courses in Tunisia for young graduates and has mobilized human and financial resources through national and international institutions and NGOs. In the framework of UN joint program launched in the year 2009, she started a professional collaboration with the Government of Tunisia and UNIDO for strengthening institutional capacity in the field of youth entrepreneurship development in the regions most affected by unemployment. Mrs. Gharbi has her master degree from the School of Management and Economics of the University of Tunis. She also attended many trainings held by international organizations.